Supporters of the reported apparitions of Our Lady in Medjugorje will have received Pope Francis’ remarks on the matter with a sense of disappointment but also hope. Having just celebrated the centenary of Our Lady of Fatima, the pope was dismissive of the on-going apparitions allegedly taking place daily at Medjugorje, saying that he prefers Our Lady as our mother, “and not a telegraph operator who sends out a message every day at a certain time”. 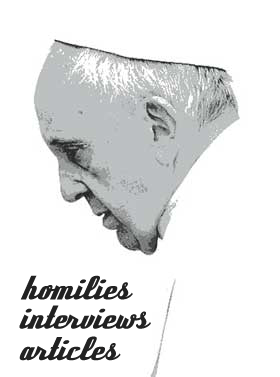 Noting that he was stating a personal opinion, he said that “these alleged apparitions don’t have much value”. Pope Francis, whose visit to Bosnia-Herzegovina in 2015 excluded Medjugorje, said that he is more sceptical about the events at the shrine than the commission established by Pope Benedict XVI in 2010 to investigate the apparitions for the Vatican. While the commission seems to regard the first seven apparitions in 1981 as supernatural, albeit not unanimously so, its findings appear to preclude approval by the Holy See for all that has happened at Medjugorje since then. Its report, which was submitted to the Vatican’s Congregation for the Doctrine of the Faith four years ago, has not been published, but details of it entered the public domain after the pope’s comments. This is sensitive territory. Since the first apparitions were reported in 1981, successive bishops of Mostar-Duvno, the diocese into which Medjugorje falls, have not only declined to declare them as worthy of belief but also opposed them. In April 1991, the bishops’ conference of the former Yugoslavia determined that “on the basis of the research that has been done, it is not possible to state that there were apparitions or supernatural revelations”. In March this year, Bishop Ratko Peric of Mostar-Duvno declared unambiguously that “the Virgin Mary has not appeared in Medjugorje”, saying that a study of the transcripts of interviews with the six alleged visionaries from that first week give rise to suspicion, if not total doubt, about the supernatural nature of the events. To the local bishops, Medjugorje has no legitimacy. This has had consequences. For example, as it presently stands by Vatican decree, pilgrimages to Medjugorje should not be organised either on a parish or diocesan level. Pilgrimages may be organised only by laypeople, not by clergy or religious. Priests may not lead pilgrim groups under the customary title “spiritual director”, nor may they say Mass at the shrine. The doctrinal congregation has directed that priests and the faithful travelling to Medjugorje “are not permitted to participate in meetings, conferences or public celebrations during which the credibility of such ‘apparitions’ would be taken for granted”. But the reported content of the commission would recommend lifting these restrictions, approve the first seven claimed apparitions, and reject the thousands that have followed. This would not satisfy the diocese of Mostar, since it would negate its positions, nor the devotees of Medjugorje, since it rejects almost all the apparitions claimed by the original seers. Pope Francis is trying to navigate this minefield. In February he appointed Polish Archbishop Henryk Hoser to investigate pastoral solutions for Medjugorje. Since the commission’s report is not binding, it seems that the pope is seeking a second opinion. But it is also an acknowledgment of the reality that Catholic pilgrims will continue to visit the shrine, notwithstanding the views of the hierarchy. The recognition that properly defined pastoral care is necessary at Medjugorje also takes into account that the shrine is a place of prayer, conversion and encounters with God — that even places of undetermined character can be sanctified by the prayers of the faithful who come there and by the graces they receive. These prayers and conversions, the pope said this month, are not a result of “magic” but a valid spiritual and pastoral fact that “cannot be ignored”. Whatever the Holy See finally decides — and it may well involve compromises that satisfy nobody — the debates will continue. These must not be intemperate, as they often were in the past. Until the Church provides greater clarity and guidance on Medjugorje, devotees should exercise some caution in accepting the apparitions without qualification.